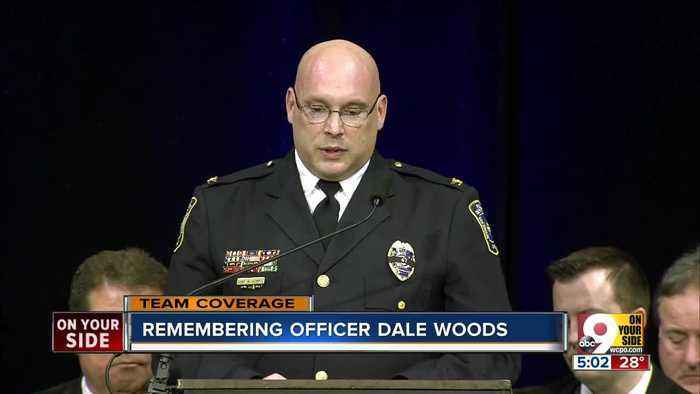 Just an hour before Officer Dale Woods was hit by a vehicle while working at the scene of a Jan.
4 crash, he'd received thanks from a father for breaking a window to save a baby inside a hot car. A few months earlier, Woods ran into a burning building to save a blind woman. And as a new cop, he once chased a suspect from a murder scene by himself, Police Chief Mark Denney said during a service at Xavier University’s Cintas Center Monday. Denney was one of many members of the community who came together Monday to pay respect to the Colerain police officer who died Jan.